While every other species of Kangaroo lives on the ground, the Lumholtz Tree kangaroo lives amongst the trees in rainforests. 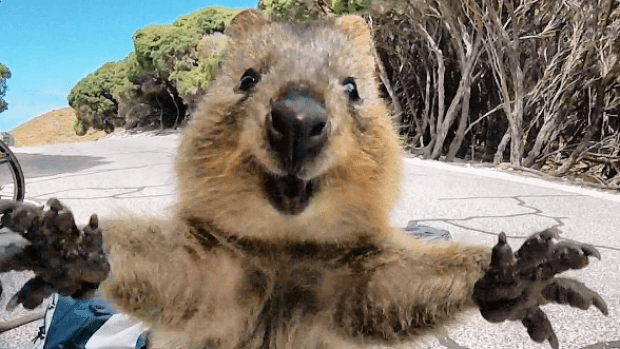 The Quokka is an adorable smiling marsupial, but that’s not the only reason they were part of the quokka selfie trend. They are very friendly to humans and will often approach them, allowing us to take a quick selfie with them. 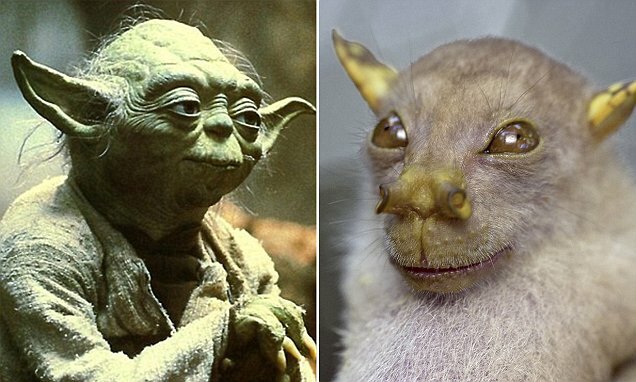 Named for its resemblance to a certain Jedi Master, the Yoda Bat can be found in the northeastern tip of Queensland. No matching Luke Bat has been found. 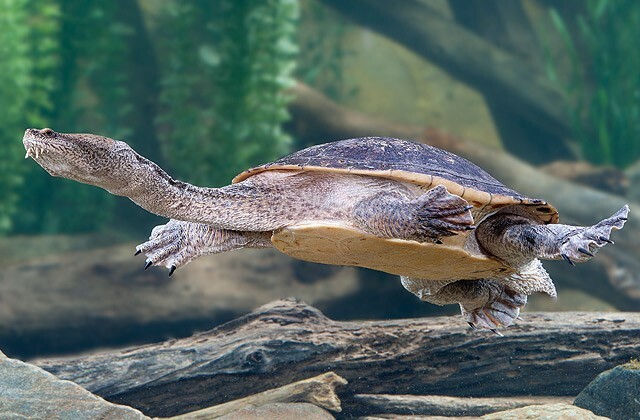 This freshwater turtle may look like any other… but it has one unusual, or alarming feature. The freshwater turtle is famous for its ability to breathe through its bottom. It’s not quite so cute now, is it? The odd evolutionary adaptation allows the turtle to stay underwater where it can feed and hide from predators for a whopping three weeks. They may look like a friendly bird, but this modern ‘dinosaur’ is best admired at a distance. Firstly, it weighs 60kg. Secondly, it can run at 50 km/h. Thirdly, it can jump 1.5m off the ground. So there’s no escaping this badass bird. If that’s not scary enough, it has some ferocious claws to defend itself with. And if this Aussie animal isn’t odd enough, it’s also a bird that can’t fly. 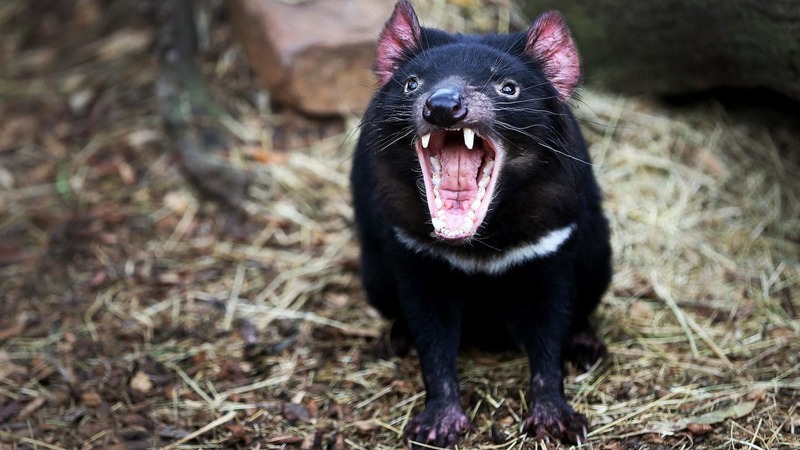 The Tasmanian Devil is most famous for its rarity. 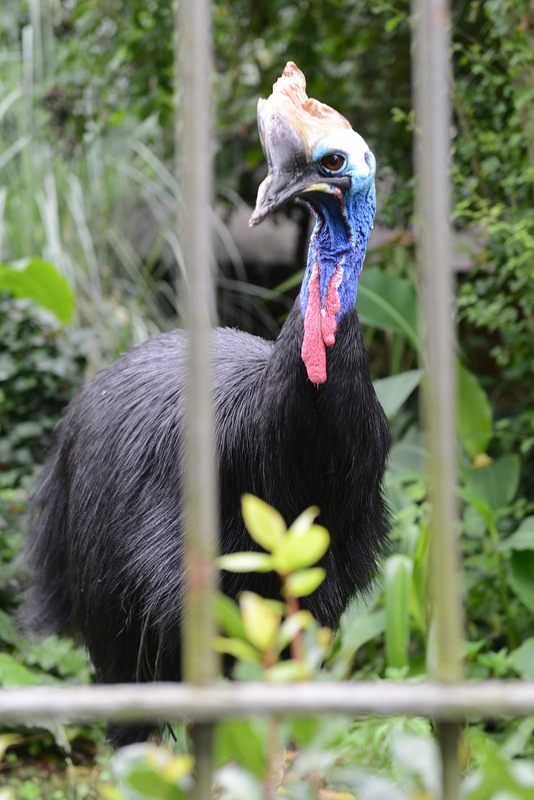 While it was once roaming mainland Australia, it is now confined to Tasmania. While it’s called a devil, it’s considered an angel by many because of its unique ability to outwit and curb growing populations of introduced species like feral cats and foxes. The Saltwater Crocodile may be a ferocious predator, but Australia’s beloved Steve Irwin helped Aussies and tourists alike respect the magnificent beast. 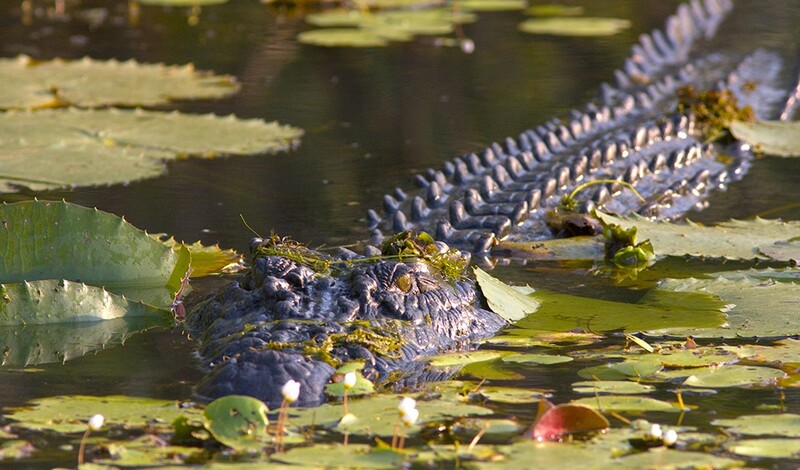 It’s the largest reptile in the world, growing up to 6 metres in length and 1,200 kilograms. 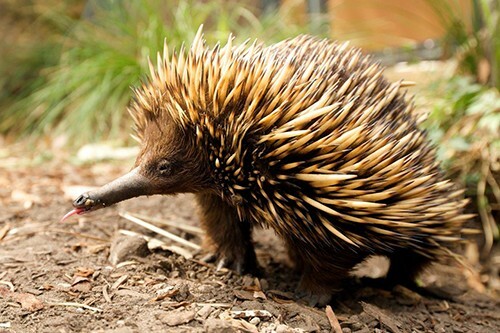 The name Echidna comes from a creature of Greek mythology who was half-woman and half-snake. It was given to this sticky creature because it has qualities of both mammals and reptiles, laying eggs (like reptiles) but also feeding its babies milk (like mammals). If that didn’t make it weird enough, it has an odd mix of porcupine-like spines, a bird-like beak, and a quoll-like pouch. Despite the raucous laughter, kookaburras aren’t laughing at each other’s jokes. But their laughter does have a purpose. 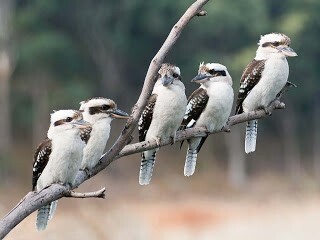 A family of kookaburras does a communal call at dawn and dusk to warn off rival kookaburra families from their territory. All marsupials are nocturnal, except for the numbat. 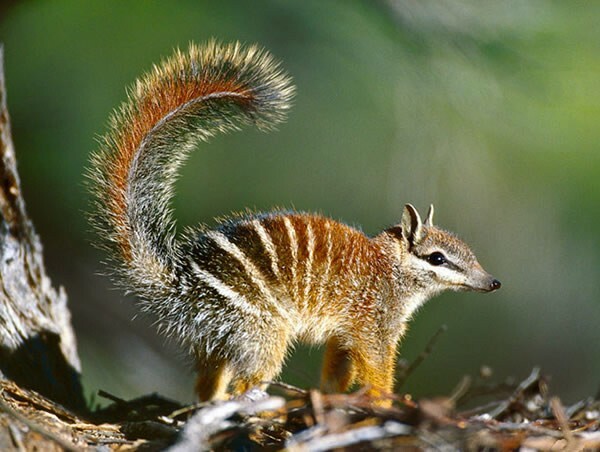 The numbat only eats termites, which come out at day. So it burrows itself in logs at night to hide from predators, then eats termites by day. There’s no midnight snacks for this marsupial. The Tasmanian Tiger has become like the infamous Bigfoot. While most authorities report the last Thylacine dying at Hobart Zoo over 80 years ago… there are still occasional ‘sightings’. 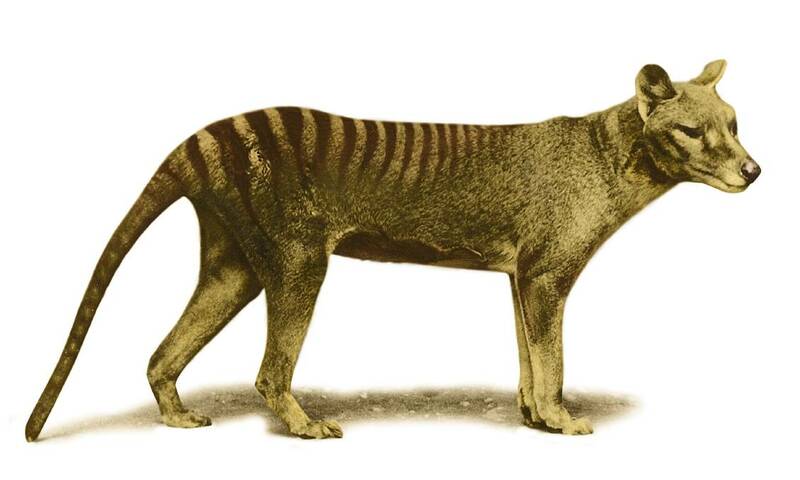 While the Tasmanian Tiger had stripes, it wasn’t part of the cat family. It was a marsupial. And another remarkable trait was its ability to stand on its hind legs and move around – much like Bigfoot. The Thorny Devil has two heads. Well, not quite. They have a fake second head which sits on the back of their necks so that predators don’t sneak up on them from behind. If that wasn’t covert enough, they can also blend in with their surroundings by changing their colour to grey, red, orange, or yellow. 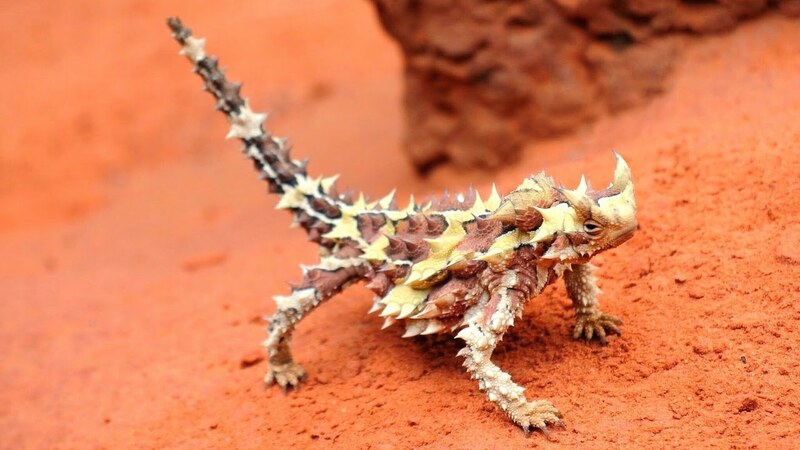 So if you never see a Thorny Devil in the wild, don’t be surprised. 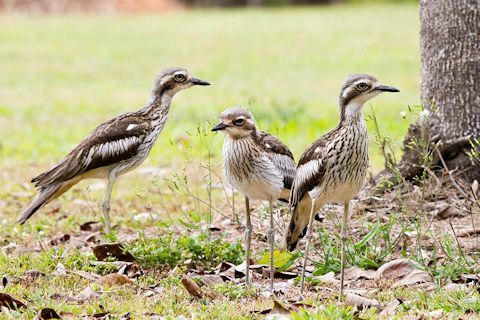 These birds look normal enough, but at night they’ll make your hair stand on end. They give a high-pitch wail throughout the night, which will definitely give you the willies if you’re camping nearby. 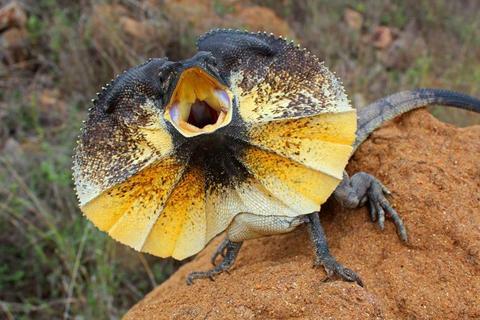 When in danger, the Frill-Neck Lizard expands its neck flaps. To its predators it makes it look bigger, to us it looks like it has an umbrella for a neck. But its umbrella neck isn’t its only defensive trick. Like the Thorny Devil it can change colours. We’re here to talk about weird Australian animals. 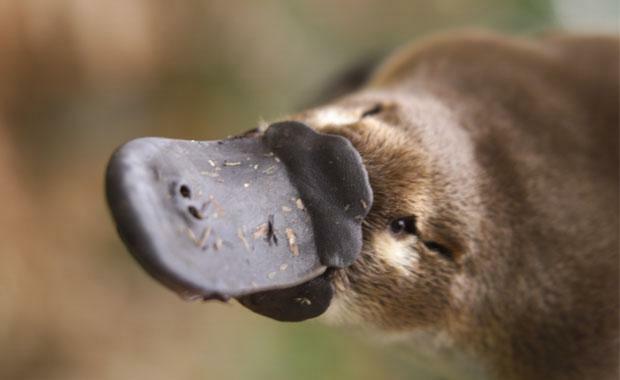 Well, the platypus may be the weirdest of them all. They’re so unusual it took taxonomists over thirty-eight years just to decide how to classify them. They’re so unexpected that when scientists first began examining a platypus they thought they were being pranked. 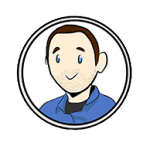 They have a bill and webbed feet like a duck, a tail like a beaver, and a body like an otter. And if that wasn’t weird enough, they’re also venomous – but only the males. The bilby has existed in Australia for up to 15 million years. But that’s not why its famous down under. 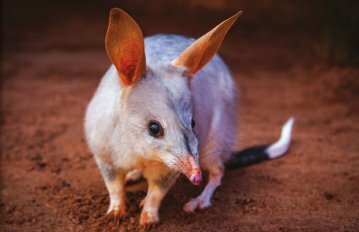 Its ears are similar to an Easter Bunny, and so it has become Australia’s Easter icon. 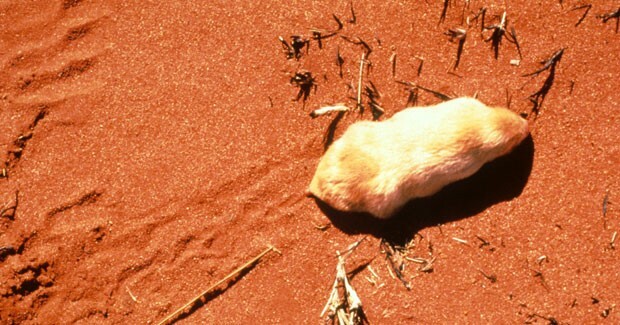 This little desert-dwelling marsupial is rarely seen as they spend most of their lives underground. They survive on the air located between grains of sand and ‘swim’ through their surroundings underground. At this point you might be thinking that they’re minuscule, but they’re actually over 10cm long. Still, don’t be surprised if you never see one, many people live their whole lives in the desert with these creatures and never see them. These Sugar Gliders really do what their name suggests – they glide from tree to tree. 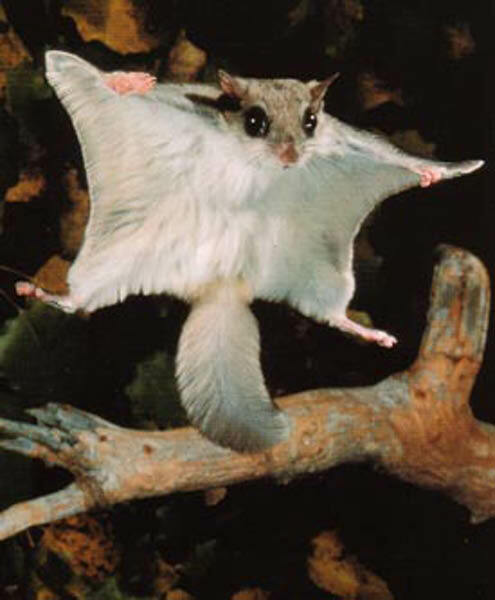 They can’t quite fly, but they successfully use their wing like flaps to glide and their bushy tail to stabilize themselves. 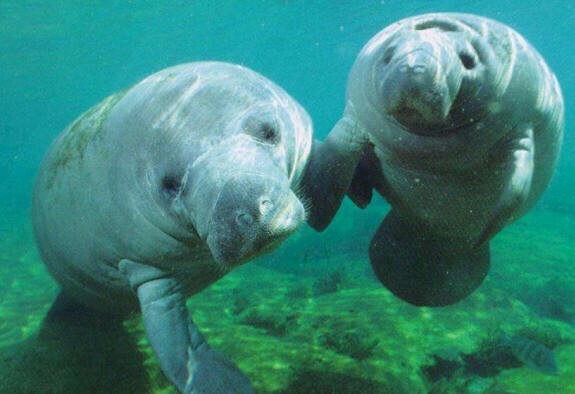 These marine mammals are an odd looking bunch, not what you’d call conventionally pretty. Yet that didn’t stop ancient seafarers from mistaking them for mermaids. Although they look like stubby miniature bears with an attitude problem, wombats are actually marsupials. They were once hunted by aboriginals and are excellent diggers. 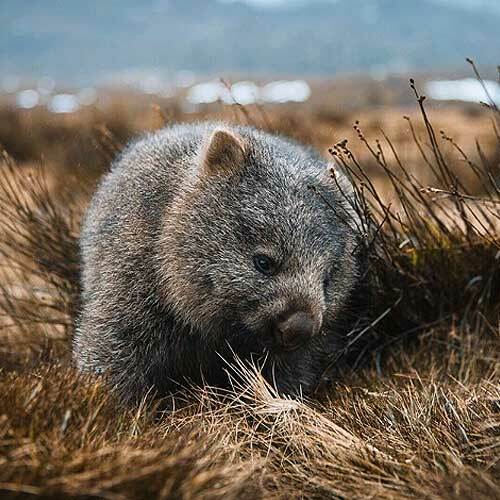 Also, if you go camping and leave food in your tent – don’t be surprised to find a wombat foraging around inside. 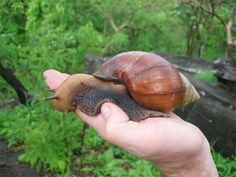 The shell of a Giant Panda Snail can grow to the size of a tennis ball. What’s more, it dates back to the Gondwana age when Australia was still attached to Antarctica and India. Australia is a unique land filled with interesting and unusual animals. Which did you think was the weirdest?